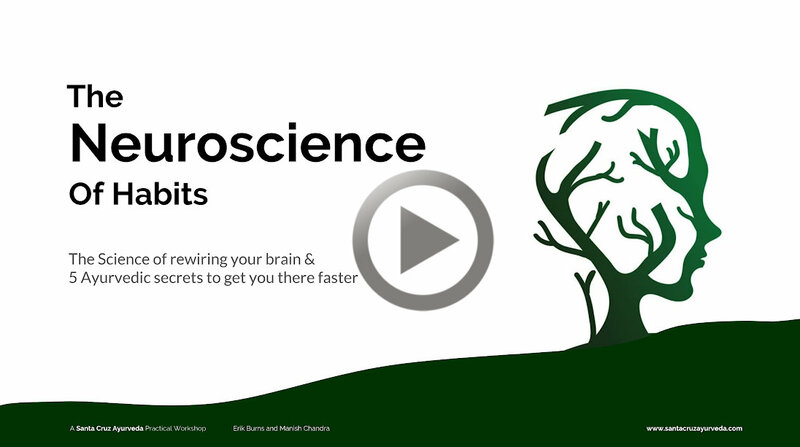 This filmed workshop will provide insight into how your brain wires new behaviors, and how to use this information to develop healthier habits in your life. Does this experience sound familiar to you? You decide you want to eat healthier, start that new project, or become a more loving partner during conflicts... but when it comes times to do it, you feel this magnetic pull into your old ways? The good news is that you are not alone - habit runs deep, and behavioral change is hard. Recent breakthroughs in neuroscience can teach us how to "coax" the brain into doing what we know is good for us, and we're going to show you how. Improve your habits, improve your life. So if you want to build new habits around diet and exercise, professional goals, relationship goals, or just find new sources of inspiration for daily living, then this is a video you won't want to miss! Erik Burns will be teaching you about the brain and how to use habit change to maximize your life. Erik is a neuroscience scholar from Stanford University, who has authored award-winning research on how the brain regulates one of its most habitual activities - sleep. He is also the son of David D. Burns, author of the multi-million copy best-seller Feeling Good, a seminal work in the field of Cognitive Behavioral Therapy. Manish Chandra is the founder of Santa Cruz Ayurveda and has been practicing Ayurveda for the past six years. He is an Ayurvedic Doctor recognized by National Ayurvedic Medical Association (NAMA) and he focuses on Integrative Medicine and specializes in Gut Healing Protocol. If you have any questions or concerns please contact us at info@santacruzayurveda.com.